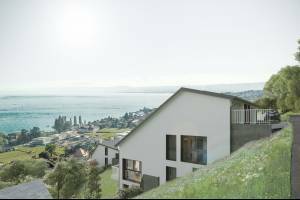 Innovative promotion of adjoining villas in the heart of Valais! Do you dream of living in a magnificent contemporary Minergie label villa with high end home automation? 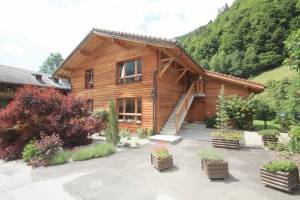 So this promotion of nine villas of 3.5 or 4.5 rooms on two floors in Saillon, less than 400 meters from the thermal baths and close to the school center and the historic center, is definitely made for you! In a beautiful setting at the foot of the Alps, protected from the wind and on a plot of over 2,450 m2, this realization of three residences each consisting of three villas contiguous staggered for greater privacy has spacious bedrooms for a usable surface ranging from 119 to 130 m2. The finishes are at the option of the purchaser. It is possible to combine two villas in one. Expected delivery: From the spring of 2020. To obtain a complete file with the detailed characteristics or to organize a visit, do not hesitate to contact us!